A piece of Edinburgh's history is now on sale in the form of Bell's Mill House - located in Dean Village, part of Edinburgh's World heritage site. The house has been restored to its former glory by BUREDI (a joint venture between The Burrell Company and the EDI Group) and residential developers New City Vision. The carefully refurbished detached Georgian family home and garden, which dates back from 1780, is expected to generate a great deal of interest thanks to its ideal location and distinctive blend of contemporary living and traditional features. The rejuvenated five bedroom, five public room family home which spans three floors, has retained some fine period features including sash and casement windows, working shutters, fireplace surrounds and decorative cornice work. Adjacent to the property is the new Bell's Mills development which consists of 24 two and three-bedroom apartments which complement the 18th century house, beautifully adding a contemporary twist to the location. Acting Chief Executive of EDI, and Chair of BUREDI, John Mark Di Ciacca, said: "BUREDI has built a strong reputation in sensitive development on historic sites across Edinburgh. Bell's Mill House offers buyers a rare opportunity to own an important piece of the city's milling heritage." Andrew Burrell, Managing Director of The Burrell Company, added: "Bell's Mill House is one of the most individual houses to come on the market in Edinburgh for some time. Situated in the very heart of the West End and dating from 1780, Bell's Mill House is a beautiful example of a Georgian family home and is ideal for buyers looking for something a little special." "The 21st century development blends perfectly with the classical period house and the historic remains of the water-powered mill and the rubble-walled granary which have been preserved to form an integral and important feature of the development." Max Mills, from selling agents, Rettie and Co, commented: "This is an impressive Georgian home, ideally positioned alongside the water of Leith and providing excellent accommodation throughout". 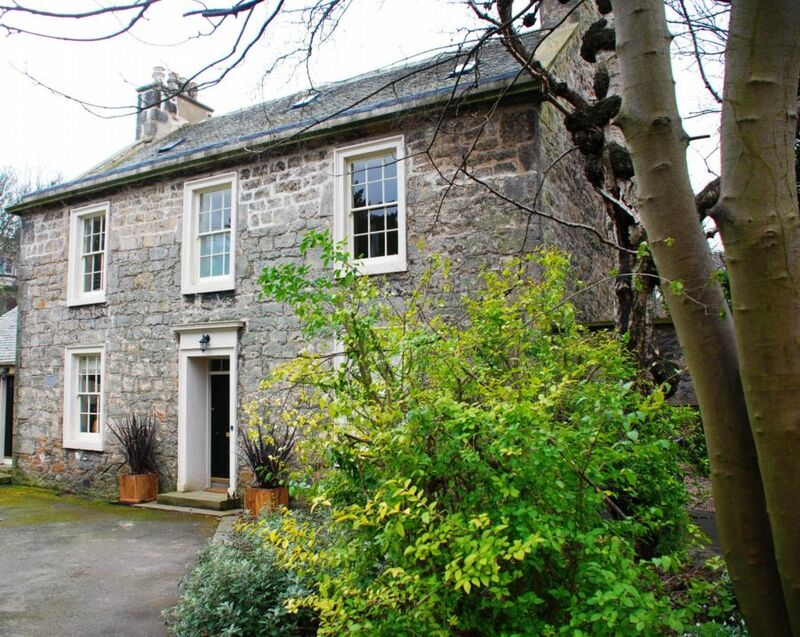 Dean Village is a beautiful area conveniently located within the heart of the city. Having undergone major transformation over the past three decades, it is an increasingly popular place to live offering tranquillity in a charming locale. The property has been released for sale at offers over ï¿½795,000.